We have a long track record in successfully dealing with a full range of Family matters. Family breakdown can be an extremely difficult and an emotional period in a person’s life. The aim of our Family Department is therefore to provide a friendly and efficient service to our clients. We take care to provide the understanding and sensitive approach essential to help steer you through what can be an immensely stressful and unsettling time. 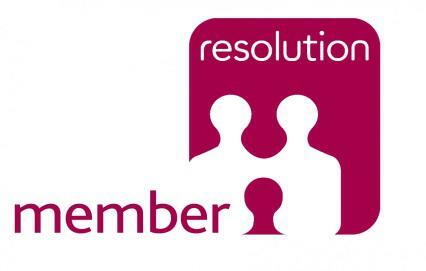 Our Family Team are members of Resolution, an organisation of specialist family lawyers committed to a constructive approach to the practice of family law. Our commitment to the Resolution Code of Practice has resulted in an overwhelming majority of cases settling by agreement, thereby avoiding the need to attend Court or even attend a final hearing. We maintain an excellent reputation for being cost effective and providing high-quality family work. The Family Department are here to assist you with all areas of family concerns or guide you in the right direction whether through mediation, solicitors negotiations or other avenues. The following steps can be achieved in as little as 4-6 months if the husband or wife acknowledges recept of the petition quickly. Please note we will on occasion advice against applying for the decree absolute until the parties have reached a final settlement in relation to the matrimonial finances. Initial consultation to take your instructions on divorce and advising you as to the process. Drafting a divorce petition and sending this to you for approval. In most cases a copy of the approved draft petition will be sent to your husband/wife or their solicitors in the hope that this will alleviate ths case becoming contested. File with the court your divorce petition and accompanying documents such as reconciliation paperwork; notice of acting, your marriage certificate and the court fee. As soon as your husband/wife acknowledges receipt of the divorce petition and notifies us he or she will not defend the petition we will apply for decree nisi. When are the costs payable? Our costs are usually payable in two instalments; the first half of the fixed fee £695.00 prior to issuing the divorce petition and the second half instalment of £695.00, the following month. However, we aim to be as flexible as possible with our clients and should you wish to discuss an alternative arrangement individually suited to you, please do not hesitate to contact us to discuss the matter of payment further. There are two parts to divorce, the divorce itself as outlined above and, the financial aspects. If you require this firm to carry out work in relation to your finances, your file will be passed to Patricia George. All work in relation to the division of finances will be billed at her hourly rate. If you would like to come and see us in relation to your divorce and/or finance, whether by an initial fixed fee appointment at £200 + VAT or to begin your uncontested divorce proceedings at a fixed fee price (see above), please contact us at our offices. Advice can be provided in relation to drawing up either a Pre-nuptial or Cohabitation Agreement, prior to getting married or deciding to live together, to alleviate the stress if the relationship does end in the future. N.B. Pre-nuptial agreements are not legally binding in the UK but a judge is likely to take it into account as long as safeguards are met. This is the process to bring your marriage to an end. Usually all matters between the parties e.g. housing and finances, arrangements for the children, etc. are dealt with at the same time.. The procedure of the divorce itself is relatively straightforward. The delays tend to lie in resolving the related problems e.g. where to live, who will the children live with and money related matters. This does not end the marriage but it does end the duty to live together. Judicial Separation is usually used where one party has a religious objection to divorce or where the parties have not been married for a year. The financial aspect within the divorce process is called ‘Financial Relief’. Sometimes these matters are settled by agreement between the parties without going to Court, either with or without the involvement of solicitors. Both parties should however always seek independent legal advice about any proposed settlement. It is normally sensible to have the agreement written down as a binding agreement i.e. sealed Court Order. If an agreement cannot be reached, it is possible to apply to the Court to ask the Court to decide what order is appropriate. The Courts are concerned with the quality of care that can be given to children. They are not especially impressed by, for example, who has the larger income or more possessions. Contact Patricia George by email at PatriciaG@carpenterssolicitors.co.uk or by telephone on 020 8669 5145 for further information.